According to the World Economic Forum, Portugal is the best 15th country to visit as a tourist. The organization ranked 141 countries across 14 dimensions on their ability to receive tourists giving each dimension a score from from 1 (lowest) to 7 (highest). Portugal’s overall score was 4.6. 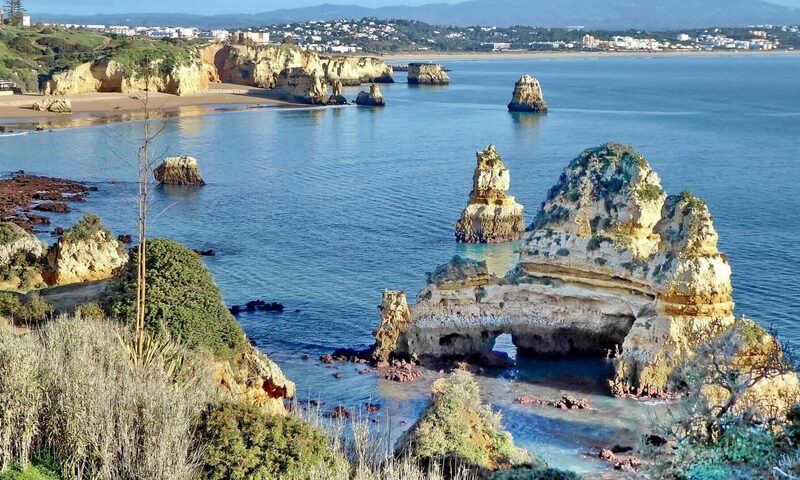 Portugal received the highest scores in the following dimensions: Safety & Security, Health & Hygiene, Tourist Service Infrastructure, and Prioritization of Travel & Tourism, which placed the country among the best 15 countries in the entire world to travel to as a tourist. In the dimensions of Safety & Security and Tourist Service Infrastructure Portugal’s overall score placed the country in the 10th place. Meaning Portugal is one of the safest countries to travel to and that there are plenty of tourism infrastructures to help and support tourists needs. Portugal is placed at the 17th place in the dimension of Cultural Resources & Business Travel, implying the country it is a great option for those who travel looking for Culture and History and for those who travel for business. The country ranked number 12 for the number of World Heritage (UNESCO) cultural sites. Regarding the sub index of Infrastructures, Portugal got the 1st place for Quality of Roads meaning the roads are considered efficient and extensive by international standards. For Health & Hygiene, Portugal got the 1st place in the sub dimensions of Access to Sanitation and to Drinking Water, with a score of 100% meaning, the entire population is covered by those two basic needs. For physician density per 1,000 people, Portugal is in the 20th place of the whole ranking. Overall the report classifies Portugal as a safe destination with good infrastructures for tourists and prepared to welcome them and give them the support they need. The first place in the report is occupied by Spain. Read the full report here. Last week we discussed the importance of reducing salt intake for a better health and nutrition. This week’s post is about reducing sugar intake. The World Health Organization has recently updated the recommendations on the amount of sugar adults and children should consume every day. The intake of free sugars should be less than 10% of total energy intake per day. Free sugars are monosaccharides like glucose and fructose and disaccharides like table sugar that are added to foods and drinks and are naturally present in honey, syrups and fruit juices. Sugars present in fresh fruits, vegetables or milk aren’t part of this recommendation as there is no reported evidence of adverse effects of consuming these sugars. The way we consume sugar is disguised in the processed foods present in our diet. For example, 1 tablespoon of ketchup contains around 1 teaspoon of free sugars. And a can of soda contains up to 10 teaspoons of free sugars. In the words of Dr. Francesco Branca, the Director of WHO’s Department of Nutrition for Health and Development, “We have solid evidence that keeping intake of free sugars to less than 10% of total energy intake reduces the risk of overweight, obesity and tooth decay”. The consumption of high amounts of free sugars leads to increased weight and to higher rates of dental caries. It is also believed that the consumption of free sugars increases the overall energy intake, reducing the need for foods that provide more nutritionally adequate forms of energy. The discussion about the health benefits and the disadvantages of sugar isn’t new and many myths appeared over the years. The following video from Business Insider deconstructs 5 myths of sugar: artificial sweeteners are healthier, sugar brings satisfaction, the sugar present in foods is bad, organic sugar is healthier and sugar free diets are the answer. The video is quite educative and answers many relevant questions. Read the entire WHO recommendation here.